Roadhouse Boulder Depot recently opened, and last weekend I stopped in to have some lunch and check it out. I was very excited to visit the restaurant for multiple reasons. 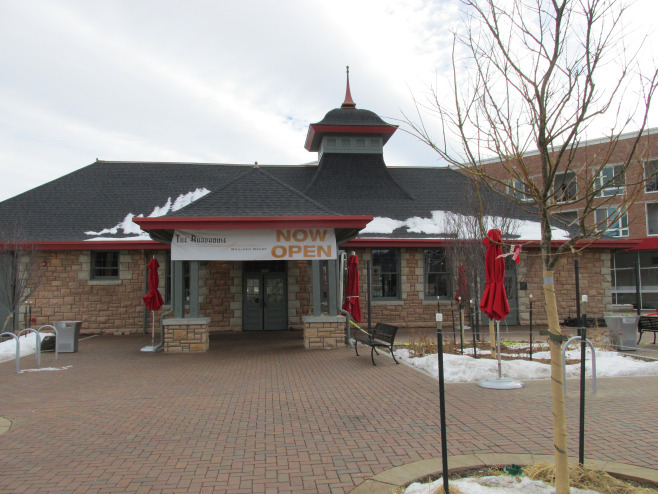 First, the historical aspect of it–the building itself used to serve as the Boulder Train Depot, from 1890-1957. Secondly, there were several items on the menu that piqued my interest. And finally, the beer list looked fantastic! Being a vegetarian, I have to take a peek at a restaurant’s menu before committing to eating there. Once I saw the what Roadhouse Boulder Depot had to offer, it was clear I had several options from which to choose. 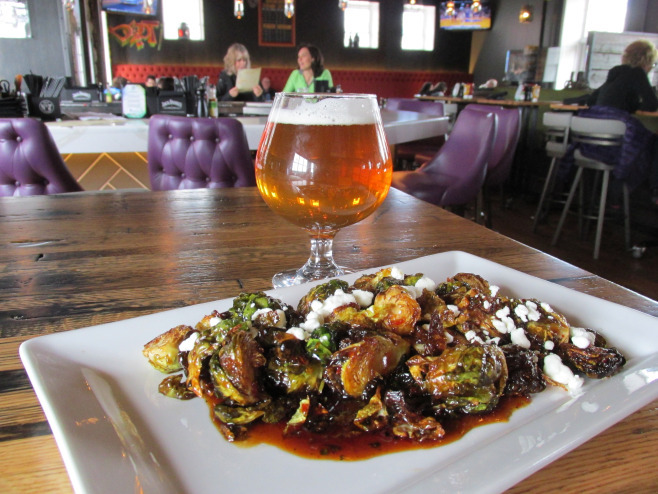 My guest and I started off with an order of Brussels Sprouts, and they were–without a doubt–the best Brussels Sprouts I have ever eaten. The sweet & spicy sesame glaze is amazing! The portion was fairly large, and I knew I needed to save room for my entree…but I just couldn’t help it and ended up eating nearly the entire plate myself. When it came time to order the main course I had a difficult time deciding between the veggie wrap and the Margherita flatbread, so my guest and I ordered both and split them. Both dishes were very enjoyable. 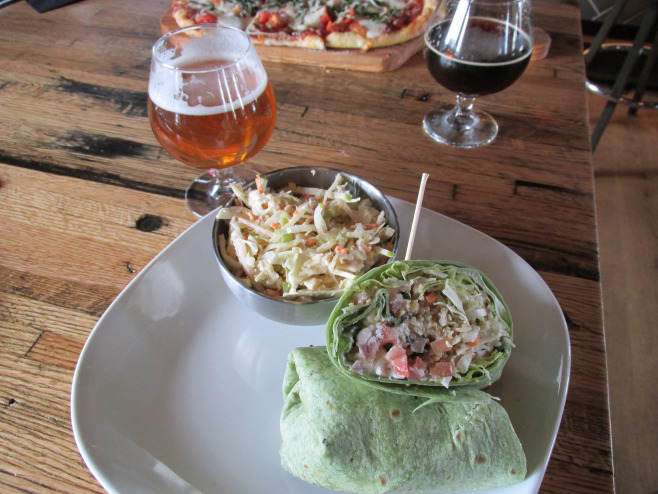 The Quinoa Veggie Wrap was crisp and flavorful, and the side of Apple-Chipotle Slaw was zesty and tangy: cole slaw with a kick. 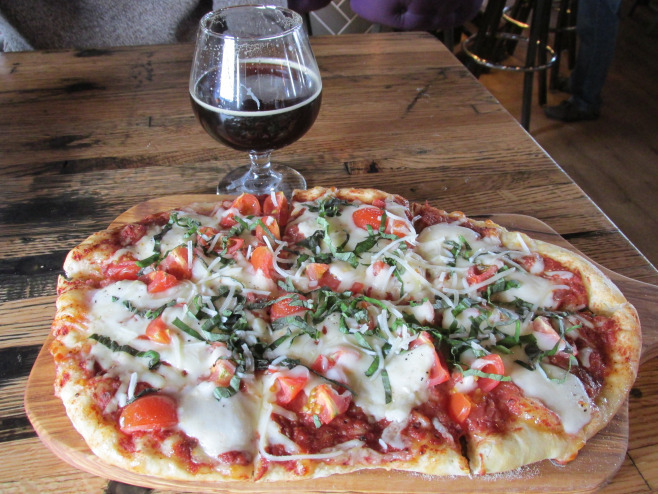 The Margherita Flatbread Pizza was perfect; it satisfied my craving for pizza yet felt a bit lighter and healthier than a typical pizza, and the tomatoes, basil and buffalo mozzarella were extremely fresh. 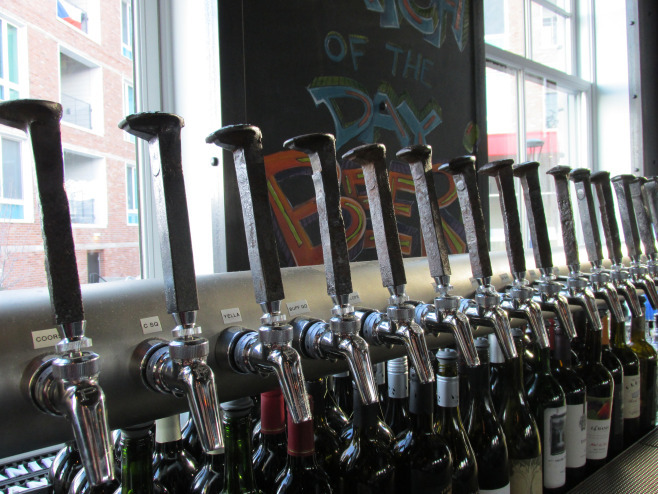 I was impressed by the tap list. I chose a Myrcenary Double IPA from Odell, (one of my favorite Colorado beers). But it was a tough choice as the menu also has several other local beers on tap from breweries such as Avery, Upslope, Dry Dock, Funkwerks, Sanitas, Oskar Blues and many more. They have an enticing cocktail and wine list as well. The restaurant’s decor reflects its history. Railroad spikes, old wood, historic photos and more can be seen throughout. There is even a timeline on the wall (look way up near the ceiling above the bar) that shows the complete history of the depot. Roadhouse Boulder Depot is a unique spot offering a versatile menu, with healthier options like edamame, creative salads and fish or shrimp tacos, to heartier plates such as burgers, pastrami sandwiches and steak. Whatever you’re in the mood for, odds are you can find it here. I truly enjoyed my visit to Roadhouse Boulder Depot. It was fun to look around and imagine all the people who have passed through this space over the last 126 years. And considering its location and all that it has to offer, I believe it will once again become the hub of the Boulder community.